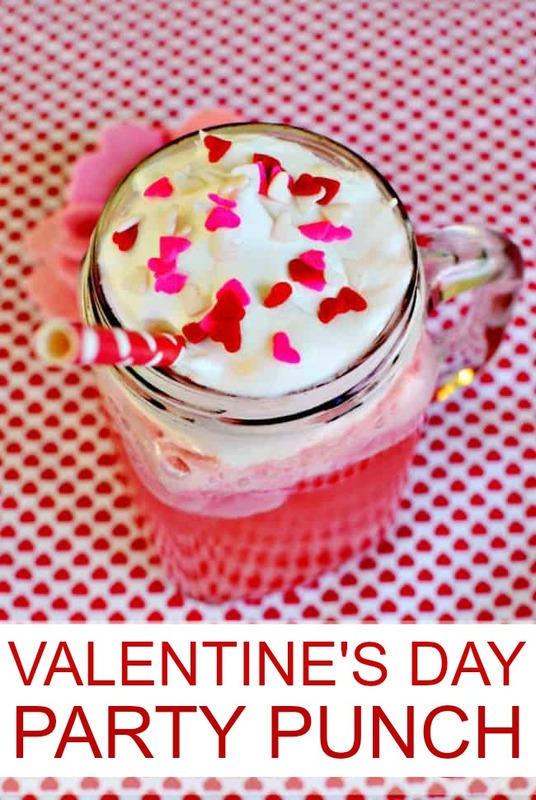 Celebrate the day of love with this yummy Valentine’s Day Party Punch recipe a fan favorite when it comes to Valentine’s Day themed drinks. 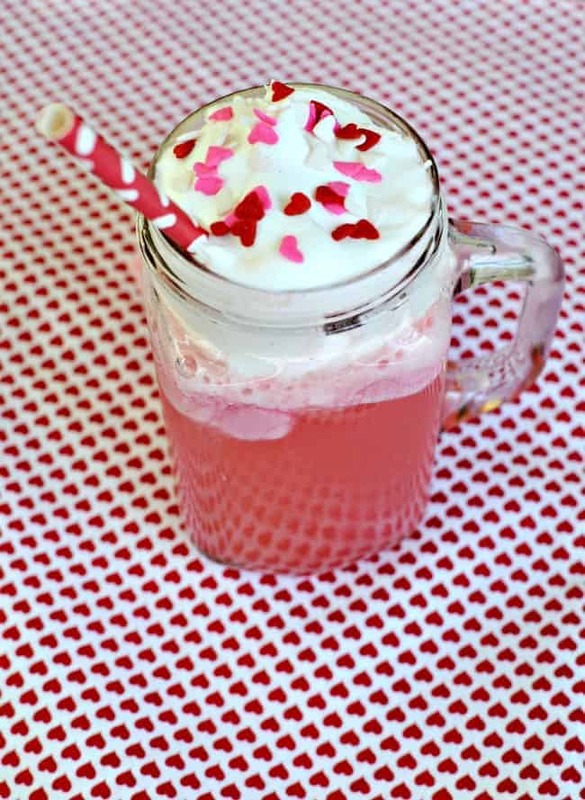 This love potion drink is a holiday favorite and very simple punch recipe. One that would be perfect for baby showers, weddings and of course Valentine’s Day. 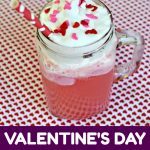 Whether you’re planning a party for the kids, an anti-Valentine’s Day bash for the girls (think, Galentine’s Day), or a special evening for your sweetie this Valentine’s Day party punch will be perfect for that. We like to call it Love Potion since the term has the meaning of a type of potion designed to create feelings of love. This recipe is also good with lime or strawberry sherbet but our favorite Valentine punch is made with raspberry. Pour your 7up into a punch bowl or gallon drink container. Place scoops of raspberry sherbet in and stir to mix. I know, this Valentine’s Day Punch is too easy, right? Exactly why I love it so much. Pour a glass of Cherry 7up and drop in one scoop of sherbet. We topped ours with whipped topping and sprinkles to add that extra touch of fun. 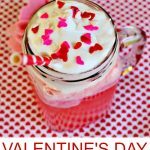 If you are looking to make these Valentine’s Day punch drinks you might also like to have these products on hand. You can substitute the raspberry sherbet for lime or strawberry sherbet as well. Classic Root Beer Floats w/ Adult Version too! OMG my husband would LOVE this, I’m not even kidding! Now do I surprise him with it on Valentines Day or do I tell him about it now so he can buy the stuff for it when we go back to the store? You could definitely make it more of a adult drink too. That drink looks soooo good! LOVE this! Totally going to make it! I tried something similar recently! It looks great!